New Philadelphia City School District honored with the Best Communities for Music Education Award for the 4th consecutive year! 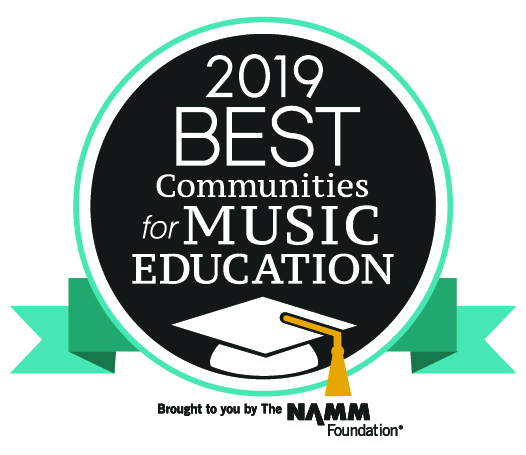 The New Philadelphia City School District has been honored with the Best Communities for Music Education designation from The NAMM Foundation for its outstanding commitment to music education for the 4th consecutive year! New Philadelphia City School District is one of less than 5% of districts across the nation, and the only in Tuscarawas County, receiving this prestigious award in 2019. The Quakers earned the Best Community for Music honor thanks to the opportunities for all students in the district to learn and perform music. The NAMM Foundation’s reviewers also looked at the quality of the New Philadelphia City School District’s music faculty, their budgetary commitment to music education, and other factors. In particular, the school district was recognized for its supportive community, vast course offerings, and the quality of their student musicians. This award recognizes that New Philadelphia Schools are leading the way with educational experiences for each child. New Philadelphia understands that music and the arts are important elements of a well-rounded education for all children.